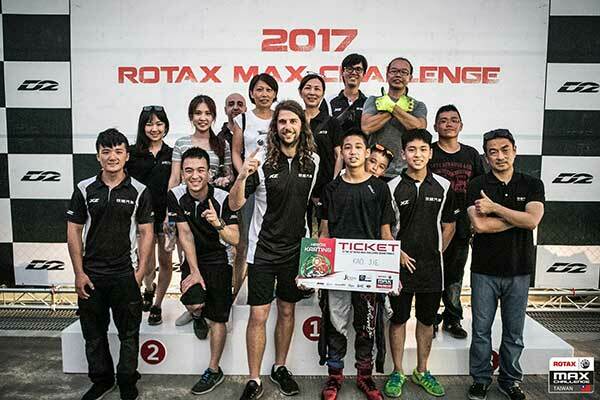 With conditions in Taiwan being unfamiliar territory to the Australian drivers with temperatures in the high 30s and humidity around eighty percent, the 15 lap final wasn’t going to be a breeze. Fortunately, Sera was once again able to get a break in the opening couple of laps then build on his lap times as the raced progressed. Sera set the fastest lap of the weekend on the second last lap of the final saving something in the tank in the earlier races. The other Australians also fared well, highlighted by Ray Hong Wang taking second place in Rotax Senior after qualifying fastest earlier in the day. Ray Yu Wang qualified fastest in DD2 but a crash in the final dropped him down the order. The hard luck story of the weekend was our Micro Max driver Peter Bouzinelos who after winning the pre final and leading the final up until the final lap, hit a lapped driver and flipped. It was a disappointing end to what was a tremendous week to date driving an unfamiliar kart, at a new track in difficult conditions.